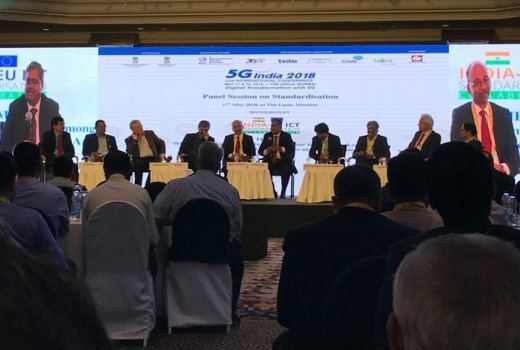 Of all the ways I’ve seen 5G being defined and developed in the last few years, witnessing the buzz about it build at industry conferences has been one of the most exciting. 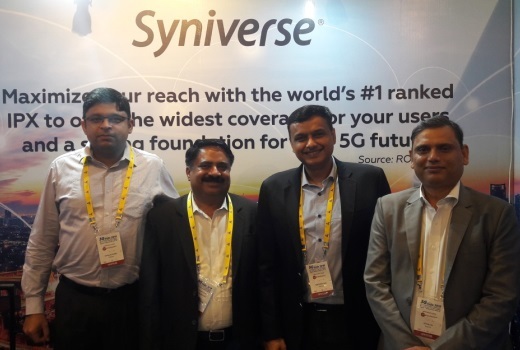 Last week, Syniverse had a strong presence at just such an event, the 5G India 2018 2nd International Conference in Mumbai, and in this post I would like to share a few of our highlights. A central theme we’ve communicated at these events and in our customer meetings is that one of the next big steps with 5G’s future continues to be completing the buildout of 4G LTE networks. As operators continue this buildout, they’re contending with a number of technology and business challenges being driven by a surge in LTE deployment. As a result, based on our recent work with 5G, we’ve pinpointed several areas that we think will be vital in determining the success of 5G. Ensuring 5G and LTE co-existence. Extending interconnection to other vertical markets. Earlier this year, I explained these factors in detail in another post, which I urge to read to better understand . We’re closely following how these factors play out this year and will continue to provide further reports on how they affect 5G development. 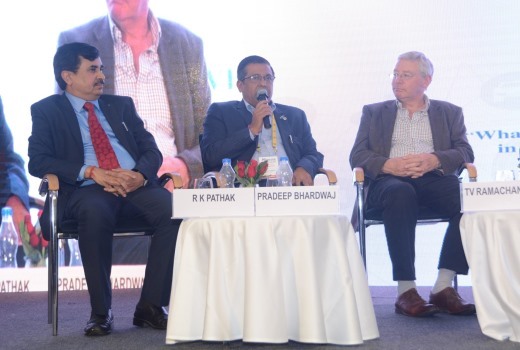 The five factors were one of several major areas of future focus that our team addressed at the 5G India Conference. This team included our Chief Technology Officer, Chris Rivera; our Senior Vice President and Global Head of Sales, Mike McCarver; and our Vice President and Managing Director of Sales for India, the Middle East and Africa, Himanshu Goel. We joined several other Syniverse leaders along with approximately 300 other attendees. Syniverse’s Chief Technology Officer, Chris Rivera, at the lectern, speaks at the “Preparing for 5G” session. At this last session, I shared my insights on the latest progress on 5G standardization and the steps that India can take in shaping up the global 5G agenda. I also took the time to underline the key role that interoperability would play in the co-existence of 5G with other technologies, especially 4G; why such interoperability is needed in the first place; what it means and entails; and what the critical success factors are in ensuring it. 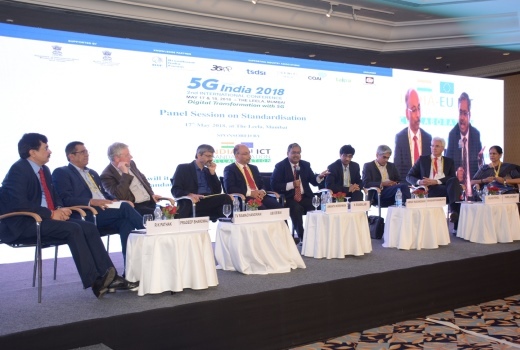 Speaking at the “5G Technologies and Standardisation – A Deep Dive” session. Other panelists at the session. Another highlight at the conference was an announcement we made that showed that inter-regional 4G LTE roaming traffic from India has grown by a staggering 3,300% over the last year. The growth was measured by analyzing global roaming traffic traversing Syniverse’s networks, and it’s a finding that holds important implications for the rollout of 5G. Specifically, the data underscores the need for the industry to more urgently prepare for 5G. If 5G is to become a reality and ubiquitously adopted, steps need to be taken to accommodate this LTE surge and strengthen the entire framework of interconnection, interoperability, security and roaming that many new 5G services will rely on. 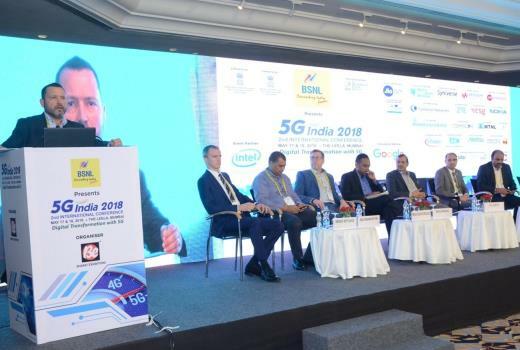 The LTE roaming announcement capped an exciting two days of presentations and meetings at the 5G India Conference, and we’re looking forward to giving you a report from our next 5G industry event. Some of our team members at the Syniverse booth we hosted at the conference. One theme related to 5G that we continue to see with our customers is that with today’s rapid digital transformation, a business is only as strong as its connections. 5G will mark a new chapter in this transformation, and Syniverse will be right in the center of it, helping our customers expand and strengthen their connections in a number of new ways. So please stay tuned here to Synergy for more.